The International Centre for Investigative Reporting, ICIR, has begun a four-day intensive investigative journalism training for selected journalists in Abuja. The training which focuses on “Strengthening the Capacity of the Nigerian Media to Investigate and Report Procurement Process” is being supported by MacArthur Foundation. Speaking at the opening session on Tuesday, the Executive Director of ICIR, Dayo Aiyetan said the training was designed to improve the capacity of Nigerian journalists in critically reporting procurement issues. Aiyetan noted that a whole lot of stealing in public offices is done through the procurement process, pointing out that journalists have the responsibility to intervene in exposing corruption in the procurement process. He said the training would equip journalists with the necessary skillset to better report public procurement to improve transparency and hold the leaders accountable for any wrongdoing. Aiyetan said after the training, the journalists would be placed for mentorship under the Public and Private Development Centre, PPDC, a non-governmental organisation that does a lot of works on open contracting, where they would observe and learn how the PPDC monitors public procurement. He said after the PPDC mentorship which would last for some weeks, the journalists would be supported to produce investigative stories on public procurement. The Executive Director of PPDC, Seember Nyager said during the mentorship, the journalists would be exposed to the process of public procurement and how the organisation tracks projects and contracts executed by public institutions. She said by the end of the mentorship, the journalists would be better equipped to monitor the procurement process to increase transparency and accountability in governance. Also speaking, the representative of McArthur Foundation, Dayo Olaide, a deputy director in the foundation disclosed that the organisation had made $5 million available to strengthen the capacity of Nigerian media in the fight against corruption. Olaide said eight Nigerian media organisations including ICIR, Premium Times, Dailytrust, Sahara Reporters, The Cable, among others are the beneficiaries of the three-year grants. He said the foundation expect that by the end of the three-year grants, the capacity of Nigerian media would have been improved upon to expose corruption and improve transparency in governance through investigative journalism. Olaide said the foundation was particularly interested in the education and power sectors, charging the journalists to step up effort in exposing corruption and wrongdoing by those in power. 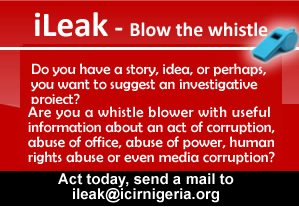 He noted that through investigative journalism, corruption could be made unattractive in the country. About 20 journalists from different media organisations are participating in the programme.